We came across this interesting article in the media, which just gives you another reason to choose icm8's 99% Fruit Juice Slushies!!!! 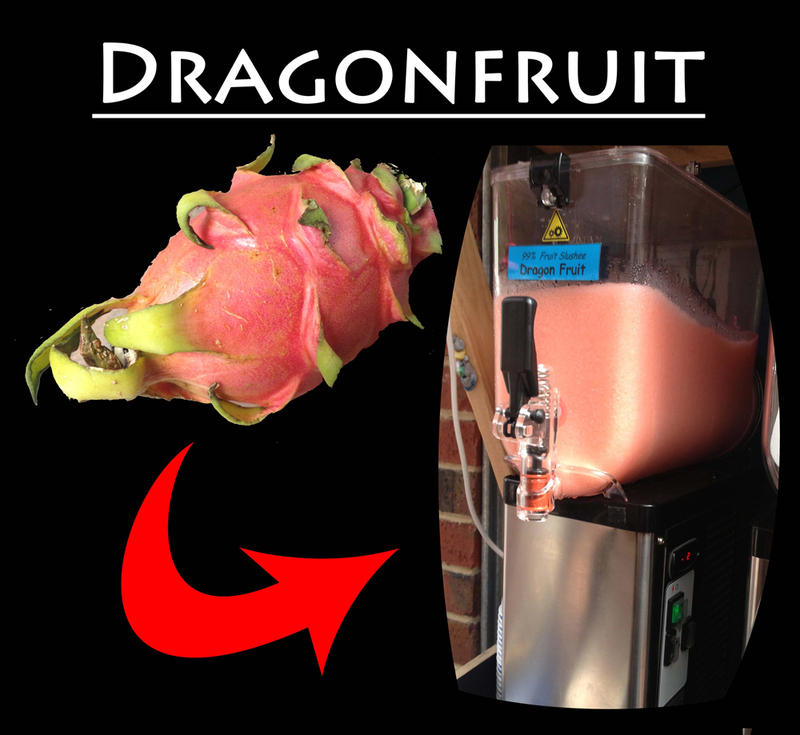 We have recently introduced a brand new flavour, DragonFruit. It is the coolest flavour loved by many who have tried it, and if you haven't tried it - you are missing out. The flavour is explained to be the perfect mix between sweet and sour. It still falls into the natural 99% Fruit Juice Slushie Category. You really do have to try it to believe it. The best looking, easiest to use twin bowl slushie machines for our hires. Do you need a Slushie fix??? Make sure you grab some sushi and a slushie from the Van Go caravan near Gate 1, next door to the Vodafone Tent. Say hello to the boys for us!